Quipmo Pty Ltd ACN 611 757 496 (“Quipmo”, “we” or “us”) operates an online platform allowing users (“User” or “You”) to connect and rent gear through Quipmo’s platform including through our website at https://www.quipmo.com/ or any other platform we may introduce in the future (“Quipmo Platform” or “Quipmo Services”). Use of the Quipmo Platform or use of the Quipmo Services confirms that You agree to be bound by this Agreement. 1.1. Quipmo provides a platform for connecting people who would like to rent Surf, Bike and Snow gear (“Renters”) with those willing to rent out the Surf, Bike and Snow gear (“Owners”). 1.2. A reference to gear in this agreement includes any type of recreational equipment, such as a bicycle, snow skis, snowboard, surfboard, stand up paddle board, etc. made available through the Quipmo Platform. 1.3. A reference to User in this agreement includes Renters, Owners and any other person that visits or views the Quipmo Platform. 1.4. A User creates an account with Quipmo when s/he validly completes a registration form on the Quipmo Platform. 1.5. Quipmo provides the platform only. Apart from enabling a Renter to find an Owner to provide a particular item of gear, Quipmo accepts no liability for any aspect of the Renter and Owner interaction, including but not limited to the description of gear and services offered, the performance of services and the delivery of gear. Quipmo has no obligation to any User to assist or involve itself in any way in any dispute between a Renter and an Owner. 1.6. All information related to services to be performed or gear to be provided is supplied by Quipmo Users. Unless expressly stated to the contrary, Quipmo does not have any ability or responsibility to review, approve or verify any User provided information prior to publication on the Quipmo Platform. 1.7. You expressly agree that Quipmo has no responsibility and makes no warranty as to the truth or accuracy of any aspect of any information provided by Users (including all Owners and Renters), including, but not limited to, the ability of Owners to perform rentals or supply items, or the honesty or accuracy of any information provided by Renters or the Renters’ ability to pay for the services or gear requested. 2.1. The Quipmo Service will be reviewed and updated from time to time. In addition to the points set out below, certain portion(s) of the Quipmo Service may be separately described on the Quipmo Platform. 2.2. A Renter with a requirement for gear (1) creates an account with Quipmo and (2) reviews existing listings on the Quipmo Platform before requesting a rental for a specific period of time (‘Offer’). 2.3. An Owner with specific gear (1) creates an account with Quipmo, (2) Posts listings on the Quipmo Platform and (3) reviews rental requests by Renters. 2.4. If an Owner desires to accept an Offer, the Owner must accept the rental request using the functionality as provided by the Quipmo Platform. By accepting an Offer, the Owner confirms that s/he is legally entitled to and capable of supplying the gear described in the listing. Offers are subject to further terms as set out in the Quipmo Rental Agreement. 2.5. If an Owner in any way updates a listing after it has been published on the Quipmo Platform and before an offer has been accepted, then Quipmo may, at its discretion, cancel all Offers for that listings that were made prior to the update and recommence the offer process. 2.6. Prior to proceeding with a transaction, both Renter and Owner must accept the terms of the Quipmo Rental Agreement. 2.7. If the Owner agrees to a Renter’s offer, the Owner will accept that Renter’s Offer by using the functionality on the Quipmo Platform to electronically accept. The Renter will then pay the agreed price via the Quipmo Platform. 2.8. An Owner and Renter may use a private messaging feature on the Quipmo Platform to communicate directly about posted gear and accessories. Each time a Quipmo User receives a message from the Quipmo messaging service, a notification may be sent to the User via their currently active communication channel. 2.9. Once an Owner has accepted an offer from a Renter and the Renter has paid the agreed price then the Renter and the Owner will be deemed to have entered into a separate contract under which the Renter agrees to Rent, and the Owner agrees to provide the Renter with the gear (“the Rental Agreement”). 2.10. The terms of the Rental Agreement incorporate the terms of this Agreement (to the extent they apply to the Renter and the Owner), the Quipmo Rental Agreement and any additional terms and conditions agreed between the Renter and the Owner, including the description and price of the gear to be provided. You agree not to enter into any contractual provisions in a Rental Agreement that conflict with this Agreement. The terms of this Agreement incorporated into a Rental Agreement take priority over any other terms agreed between a Renter and an Owner in the Rental Agreement to the extent of any inconsistency. 2.11. The Owner must provide the gear to the Renter in accordance with the Rental Agreement, unless the services, gear or transaction is prohibited by law, by this Agreement, an agreement between the User and a Third Party Provider or by any of our Policies. 2.12. The Quipmo Pre Rental Inspection Form must be completed by both the Owner and Renter at the commencement of the rental period. Any inconsistencies with the gear must be noted at this time. Upon completion of the rental period, The Quipmo Post Rental Inspection Form must be completed by both the Owner and Renter once the gear has been returned. 2.13. The Owner will mark off the rental as complete using the functionality on the Quipmo Platform once the Renter has returned the gear and the Pre/Post Rental Forms have been completed. 2.14. Once a transaction is concluded, both the Owner and Renter are strongly encouraged to complete a Quipmo service review using any feedback features on the Quipmo Platform. Quipmo will, from time to time, contact You to remind You to complete a Quipmo service review. 2.15. The Quipmo Platform may from time to time include location / map-based functionality. The Quipmo Platform may display the location of Renters and Owners to persons browsing the Quipmo Platform. Each Owner will be asked to provide the suburb where the gear is to be collected. An Owner should never disclose personal details such as Renter’s full name, street number, phone number or email address in a Posted Rental or in any other public communication on the Quipmo Platform. 3.1. Where a Renter pays an agreed price for gear in respect of a Posted Rental (“Rental Payment”) that Rental Payment will be used to pay the Owner and Quipmo in accordance with this Agreement. 3.2. If the Renter and the Owner mutually agree to cancel the Rental Agreement or if, following reasonable attempts by a Renter to contact an Owner to perform the Rental Agreement, Quipmo is satisfied that the Rental Payment should be refunded and there is no dispute between the Renter and the Owner, then the Owner must refund the Rental Payment back into the Renter’s nominated account less the Quipmo Service Fee. 3.3. Owners may choose to include Security Deposits in their Listings. Each Listing will describe whether a Security Deposit is required and the form of security that will be taken. Where a Security Deposit is required, Renter agrees to provide the Security Deposit and Owner agrees to hold the Security Deposit for the Rental Period. Renter acknowledges that the Security Deposit may be used to pay the Owner for loss and/or damage caused to the Gear during the Rental Period. Owner acknowledges that they are responsible for refunding the Security Deposit, either in part or in full at the end of the Rental Period. Quipmo is not responsible for accepting, administering or returning Security Deposits. Further, Quipmo is not responsible for administering or accepting any claims related to Security Deposits and disclaims any and all liability in this regard. Owners should be aware of the local laws and jurisdictions governing the taking of Security Deposits before deciding whether or not to accept a Security Deposit. 4.1. Quipmo may use a related entity or a third party service provider to provide payment services acting as a payment facilitator and escrow agent on behalf of the Renter and Owner (“Payment Provider”). 5.1. Quipmo may from time to time include on the Quipmo Platform promotions for and links to services offered by third parties (“Third Party Services”). These Third Party Services are not provided by Quipmo. 5.2. Third Party Services are offered to You pursuant to terms and conditions offered by the third party. Third Party Services may be promoted on the Quipmo Platform as a convenience to our Users who may find the Third Party Services of interest or of use. 5.3. If You engage with any Third Party Service provider your agreement will be directly between You and that Third Party Service provider. 5.4. Quipmo makes no representation or warranty as to the Third Party Services. However, to help us continue to improve our Quipmo Platform, please let us know of any issue that You experience using a Third Party Service by contacting us at quipmo.com/contact-us. 6.1. Quipmo may from time to time include on the Quipmo Platform merchandise available for purchase (“Quipmo Merchandise”). 6.2. Quipmo Merchandise is supplied by a third party manufacturer and therefore considered as Third Party Services which are subject to further terms and conditions set out for Third Party Services. 6.3. Refunds are not available for purchases of Quipmo Merchandise. 7.1. Quipmo may offer its Users an opportunity to obtain insurance for Quipmo Users. 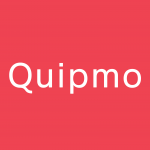 Quipmo may also elect to obtain its own insurance that may provide cover for Quipmo Users. All such insurance is offered by a third party. Terms and conditions for such third party insurance are located at quipmo.com/insurance. Quipmo confirms that all insurance policies are Third Party Services and subject to further terms set out for Third Party Services. 7.2. Quipmo does not represent that the insurance offered via the Quipmo Platform is adequate or appropriate for any particular User. Each User must make its own enquiries about whether any further insurance (such as home and contents or travel insurance) is required. 8.1. Quipmo may include tools to help Quipmo Users to verify the identity, qualifications or skills of other Quipmo Platform Users (“Identity Verification Services”). These tools may include: mobile phone verification technology, verification of payment information, a “Reference” feature (allowing a User of the Quipmo Platform to request other Users to post a reference on the Quipmo Platform endorsing that User), integration with social networking sites such as Facebook, Twitter and LinkedIn and verification icons or badges displayed in association with an Owner and obtained in accordance with clause 7.6 and or clause 7.7. 8.2. You agree that Quipmo Identity Verification Services may not be fully accurate as all Quipmo Services are dependent on User-supplied information and/or information or verification services provided by third parties. 8.3. Quipmo Platform Users are solely responsible for identity verification and Quipmo accepts no responsibility for any use that is made of an Quipmo Identity Verification Service. 8.4. The Quipmo Platform may also include a User-initiated feedback system to help evaluate Quipmo User(s). 8.5. The Quipmo Services Identity Verification Services may be modified at any time. 8.6. Quipmo may from time to time make available certain verification icons to be displayed in relation to an Owner’s profile and Posted Rentals, such as police checks or other verifiable information (such as certifications, qualifications, licenses or other skills) supplied by the Owner and verified internally by Quipmo, or externally by a third party verification provider (“Verification Icons”). Obtaining a Verification Icon may be subject to the provision of certain information or documentation by the Owner and determined by Quipmo or a third party verifier subject to its terms. It remains the Owner’s responsibility to ensure that information or documentation it provides in obtaining a Verification Icon is true and accurate and must inform Quipmo immediately if a Verification Icon is no longer valid. 8.7. Quipmo may also from time to time issue certain badges to be displayed in relation to an Owner’s profile and Posted Rentals, based on meeting certain qualification thresholds, the Verification Icons issued, or any other combination of information, as determined and set by Quipmo (“Quipmo Badge”). 8.8. The issue of a Verification Icon or Quipmo Badge to an Owner remains in the control of Quipmo and the display and use of a Verification Icon or Quipmo Badge is licensed to the Owner for use on the Quipmo Platform only. Any verification obtained as a result of the issue of a Verification Icon or Quipmo Badge may not be used for any other purpose outside of the Quipmo Platform. 8.9. Quipmo retains the discretion and/or right to not issue, or remove without notice to you, a Verification Icon or Quipmo Badge if an Owner is in breach of any of the terms of this Agreement, the Verification Icon or Quipmo Badge has been issued incorrectly, obtained falsely, has expired, is no longer valid or for any other reason requiring its removal by Quipmo. 9.1. A Quipmo account can be created in the name of an individual or a company. A Quipmo User registering as an Owner or Renter may specify within the “About You ” field that s/he is representing a business entity (including a company). 9.2. To create an account and use the Quipmo Services You must be able to form legally binding contracts under applicable law. Quipmo Services are not available to persons under 16 years of age. If You do not qualify to use the Quipmo Services, You must not use the services. 9.3. While You are registered with Quipmo You must maintain control of your Quipmo account. You may not deal with your account (including feedback and associated UserID) in any way (including by allowing others to use your account or by transferring or selling the account or any of its content to another person). 9.4. At its absolute discretion, Quipmo may refuse to allow any person to register or create an account with Quipmo or cancel or suspend any existing account. (e) You will ensure that You are aware of any laws that apply to You as a Renter or an Owner, or in relation to any other way(s) that You use the Quipmo Platform. 10.2. You must not use the Quipmo Platform for any illegal or immoral purpose. 10.3. You grant to Quipmo an unrestricted, worldwide, royalty-free licence to use, reproduce, modify and adapt any content and information posted on the Quipmo Platform for the purpose of including that material and information on the Quipmo Platform and as otherwise may be required to provide the Quipmo Service, for the general promotion of the Quipmo Service and as permitted by this Agreement. 10.5. You must comply with your tax obligations in relation to any payment received under a Rental Agreement.It is your responsibility to determine what, if any, taxes apply to the payments you make or receive, and it is your responsibility to collect, report and remit the correct tax to the appropriate tax authority. Quipmo is not responsible for determining whether taxes apply to your transaction, or for collecting, reporting or remitting any taxes arising from any transaction. Please be advised that you may be subject to withholding taxes or other tax liabilities with respect to importing services from a foreign entity. In addition, you may be subject to VAT, sales tax, income tax, or other tax liabilities as a seller of goods or services. It is your responsibility to check with your local tax advisor to determine which taxes apply to you, and it is your responsibility to pay such taxes to the appropriate tax authority. Any such deduction or withholding, if required by the laws of any country are your sole responsibility. 10.6. When You enter into a Rental Agreement using the Quipmo Platform You create a legally binding contract with another Quipmo User, unless the transaction is prohibited by law or by this Agreement (including the Quipmo Policies). If You do not comply with your obligations to another Quipmo User under a Rental Agreement, You may become liable to that other User. If another User breaches any obligation to You, You – not Quipmo – are responsible for enforcing any rights that You may have with that User. 10.7. If Quipmo determines at its sole discretion that You have breached any obligation under this clause 9, it reserves the rights to remove any content, Posted Rental or Offer You have submitted to the Quipmo Service or cancel or suspend Your account. 11.1. Registering and creating an account with Quipmo is free. There is no charge for an Owner to post listing, or for other Quipmo Users to review content on the Quipmo Platform, including posted listings. 11.2. If an Owner has accepted your offer, You agree that the Service Fees as set out in the Service Fee Schedule will be deducted from the agreed fee and paid to Quipmo (or its nominee), which are inclusive of GST. 11.3. The Service Fees will be deducted and paid to Quipmo when the agreed price is paid to the Owner. 11.4. To be clear, Service Fees will be calculated only on the amount that the Owner agrees to charge the Renter to provide the gear. 11.5. If an Owner agrees to reimburse certain costs incurred by the Renter as part of completing a rental, Renter is solely responsible for having those costs reimbursed by the Owner. Quipmo will not be responsible for obtaining any reimbursement from an Owner. We advise Renters not to agree to incur any costs for an Owner in advance of payment by the Owner, unless the Renter is confident that the Owner will reimburse the costs promptly. 11.6. Quipmo may from time to time change the Service Fees and the terms applying to their payment. Any change relating to the Service Fees is effective fourteen (14) days after Quipmo notifies You of that change by sending a notice to your last known contact address as provided at registration. 11.7. Quipmo may choose to temporarily modify the Service Fees, or the terms applying to their payment, in its sole discretion. Notification of temporary modifications will also be sent to your Quipmo account. 11.8. All fees and charges payable to Quipmo are non-cancellable and non-refundable, subject to your rights under any Non-Excludable Conditions (defined below). 11.9. If Quipmo introduces a new service on the Quipmo Platform, the fees applying to that service will be payable as from the launch of the service and will also be “Service Fees” under this Agreement. 11.10. Where an Owner is supplying gear the Owner must not charge a Renter additional fees on top of the agreed price for the gear under the Quipmo Rental Agreement. (c) Description: a detailed description of the gear. 12.2. Service Fees do not include any fees that may be due to Third Party Service Providers. All Third Party Service fees must be paid pursuant to your separate agreement with the Third Party Service provider. 12.3. As well as the mandatory details mentioned in paragraph 11.1, an Owner may choose to specify additional terms that s/he wants to apply to the transaction. 12.4. Owners must describe the gear fully and accurately and include all terms of rental that You want to apply, as well as any information required by law. Posted Rentals may only include text. You must have the legal right to use any content that You post. Quipmo may, in its sole discretion, remove any Posted Rental for any reason. 12.5. Prior to the Owner accepting an offer from a Renter, all communications between a Renter and the Quipmo User(s) making an Offer to supply the gear are visible to Quipmo. All Users of the Quipmo Platform must take care when communicating at the offer stage and must not disclose any private contact details such as full name or address, phone number or email address. 12.6. In accepting an Offer, an Owner agrees to provide the relevant gear or services within the timeframe and on the terms and conditions specified in the Posted Rental (unless the Owner and the Renter agree to vary the timeframe or the terms and conditions in the course of negotiations, in which case the Owner must provide the gear or services in accordance with the agreed timeframe and terms and conditions). 12.7. Once an Owner accepts an offer from a Renter in accordance with clause 2.9, no further negotiations are permitted on the Quipmo Platform in relation to the provision of the relevant gear. If, after the Owner accepts an offer from a Renter, the Owner and Renter wish to negotiate on price or timeframe for completion (for example, where Renter needs to change the rental period) they may use the Quipmo private messaging system, but otherwise those negotiations (and the resolution of any disputes) must be done outside the Quipmo Platform. If an Owner agrees to refund part or all of a Rental Payment, the Owner must refund the Rental Payment back into the Renter’s nominated account less the Quipmo Service Fee. Per clause 11.8, the Quipmo fees and charges are non-refundable. 12.8. If a Quipmo User, Owner or Renter wishes to complain about any comment made on the Quipmo Platform, please either use the “Report” function available from time to time on the Quipmo Platform, or email Quipmo using the contact information on the Quipmo Platform. 12.9. Owners may choose not to accept any Offer received and are not required to accept all Offers. Owners may withdraw any Posted Rental at any time prior to accepting an offer for a Rental. 12.10. A Quipmo User or Renter has no obligation whatsoever to make an Offer on any Posted Rental. 13.1. Quipmo is entitled to suspend or terminate your account at any time if Quipmo, in its sole and absolute discretion, is concerned by any feedback about You, or considers your feedback rating to be problematic for other Quipmo Users. 13.2. To continue to improve our Quipmo Platform, please let us know of any issue that You experience using a Third Party Service by contacting us at quipmo.com/contact-us. 14.1. Except for liability in relation to breach of any implied condition, warranty or guarantee, including under the Competition and Consumer Act 2010 (Cth), the exclusion of which from a contract would contravene any statute or cause any part of this Agreement to be void (“Non-excludable Condition”), to the extent permitted by law Quipmo specifically disclaims all liability for any loss or damage (actual, special, direct, indirect and consequential) of every kind and nature, known and unknown, suspected and unsuspected, disclosed and undisclosed (including, without limitation, loss or damage relating to any inaccuracy of information provided, or the lack of fitness for purpose of any gear or service supplied), arising out of or in any way connected with any transaction between Renters and Owners. 14.2. Except for liability in relation to a breach of any Non-excludable Condition, to the extent permitted by law, Quipmo specifically disclaims all liability for any loss or damage (actual, special, direct, indirect and consequential) of every kind and nature, known and unknown, suspected and unsuspected, disclosed and undisclosed (including, without limitation, loss or damage relating to any inaccuracy of information provided, or the lack of fitness for purpose of any gear or service supplied), arising out of or in any way connected with any transaction between You and any Third Party Service Provider who may be included from time to time on the Quipmo Platform. 14.3. Except for liability in relation to a breach of any Non-excludable Condition, Quipmo’s liability to any User of this service is limited to the total amount of fees paid by that User to Quipmo during the twelve month period prior to any incident causing liability of Quipmo. 14.4. Quipmo’s liability to You for a breach of any Non-excludable Condition (other than a Non-excludable Condition that by law cannot be limited) is limited, at our option to any one of resupplying, replacing or repairing, or paying the cost of resupplying, replacing or repairing gear (for Owners) in respect of which the breach occurred, or supplying again or paying the cost of supplying again, gear in respect of which the breach occurred (for Renters). 15.1. If You, as an Owner or Renter, fail to complete a transaction and do not have a lawful excuse for such failure, then in addition to Quipmo’s rights under this Agreement (including any Quipmo Policy) to suspend (temporarily or indefinitely) or terminate any User’s account, You may be in breach of your obligations to both Quipmo and the Owner or Renter with whom You are transacting under a Rental Agreement. If You, as an Owner, fail to complete a transaction and do not have a lawful excuse for such failure, You must immediately refund the Rental Payment back into the Renter’s nominated account less the Quipmo Service Fee. Per clause 11.8, the Quipmo fees and charges are non-refundable. 17.1. Except for liability in relation to any Non-excludable Condition, the Quipmo service is provided on an “as is” basis, and without any warranty or condition, express or implied. To the extent permitted by law, we and our suppliers specifically disclaim any implied warranties of title, merchantability, fitness for a particular purpose and non-infringement to the maximum extent allowed by law. 18.1. Quipmo may modify this Agreement and/ or the Policies (and update the Quipmo pages on which they are displayed) from time to time. Quipmo will send notification of such modifications to your Quipmo account. You should check that account regularly. 18.2. Except as stated in this Agreement, in a Policy, or as otherwise notified to You, all amended terms will automatically be effective 30 days after they are initially notified to You. Each time You use the Quipmo Platform in any manner after the expiry of that 30 day period or such other notice period notified to You, You acknowledge any changes to the Agreement (including the Policies) and confirm your agreement to be bound by the Agreement as it may have been varied. 18.3. If You do not agree with any changes to this Agreement (or any of our Policies), You must terminate your Quipmo account and stop using the Quipmo Services. Except as specifically described in or authorised by this Agreement, the terms of this Agreement and any Quipmo Policy cannot be amended except in writing signed by You and Quipmo. 19.1. No agency, partnership, joint venture, employee-employer or other similar relationship is created by this Agreement. In particular You have no authority to bind Quipmo, its related entities or affiliates in any way whatsoever. Quipmo confirms that all Third Party Services that may be promoted on the Quipmo service are provided solely by such Third Party Service providers. To the extent permitted by law, Quipmo specifically disclaims all liability for any loss or damage incurred by You in any manner due to the performance or non performance of such Third Party Service. (b) if sent by pre-paid post, three Business Days after the date of posting, or on the seventh Business Day after the date of posting if sent to or posted from outside Australia. In this section, “Business Day” means a day on which banks are open for general business in Sydney, New South Wales, other than a Saturday, Sunday or public holiday. (c) Notices related to performance of any Third Party Service must be delivered to such Third Party as set out in Third Party Service Provider terms and conditions. 21.1. Quipmo encourages You to try and resolve disputes (including claims for damage) with other Quipmo Users directly. Accordingly, You acknowledge and agree that Quipmo may, in its absolute discretion, provide such of Your information as it decides is suitable to other parties involved in the dispute. 21.2. Quipmo may provide access to a third party dispute resolution service (“Third Party Dispute Service”). If such a service is provided, either party may require the other party to submit the Third Party Dispute Service if the parties have failed to resolve the dispute directly. Quipmo confirms that Third Party Dispute Service is a Third Party Service and subject to further terms set out for Third Party Services. The Users are responsible for paying any costs associated with the Third Party Dispute Service in accordance with the Third Party Dispute Service terms and conditions. 21.3. Disputes with any Third Party Service provider must proceed pursuant to any dispute resolution process set out in the terms of service of the Third Party Service Provider. 21.4. If You have a complaint about the Quipmo Service please contact us at quipmo.com/contact-us. 21.5. If Quipmo provides information of other Quipmo Users to You for the purposes of resolving disputes under this clause, You acknowledge and agree that such information will be used only for the purpose of resolving the dispute (and no other purpose) and that you will indemnify Quipmo against any claims relating to any other use of information not permitted by this Agreement. 22.1. Either party may terminate an account and this Agreement at any time for any reason. 22.2. Termination of this Agreement does not affect any Rental Agreement that has been formed between Quipmo Users. If You have entered a Rental Agreement You must comply with the terms of that Rental Agreement including providing the gear or services or paying the price as applicable. 22.3. Third Party Services are subject to Third Party Service provider terms and conditions. 22.4. Sections 10 (Fees), 13 (Limitation of Liability), and 20 (Mediation and Dispute Resolution) and any other terms which by their nature should continue to apply, will survive any termination or expiration of this Agreement. 23.1. This Agreement is governed by the laws of New South Wales, Australia. You and Quipmo submit to the exclusive jurisdiction of the courts of New South Wales, Australia. 23.2. The provisions of this Agreement are severable, and if any provision of this Agreement is held to be invalid or unenforceable, such provision may be removed and the remaining provisions will be enforceable. 23.3. This Agreement may be assigned or novated by Quipmo to a third party without your consent. In the event of an assignment or novation You will remain bound by this Agreement. 23.4. This Agreement sets out the entire understanding and agreement between You and Quipmo with respect to its subject matter. 24.1. The Service Fee for an offer that has been accepted by a Renter is equal to twenty percent (20%) of the amount that was accepted.